You all asked for it, and here it is! I actually made the decision last week but struggled to decide on what I should talk about first. And then it hit me. My very first video should be about raising awareness. It’s really hard to explain what it’s like to live with Meniere’s disease, and when the people closest to us don’t understand, we can’t expect more from anyone else. 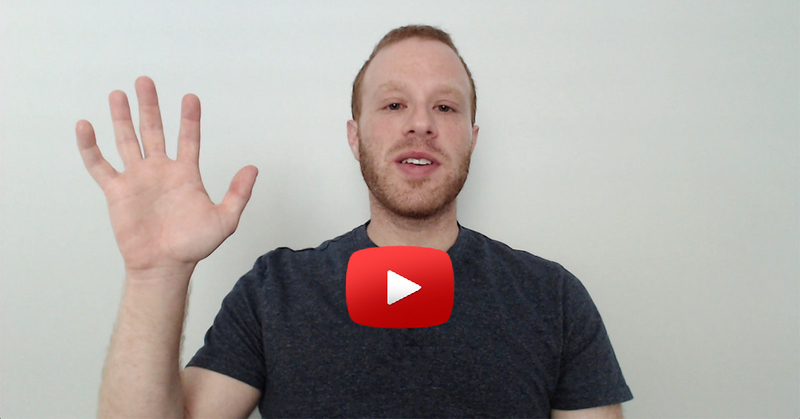 I created this video to explain what it’s really like to live with, and to be diagnosed with Meniere’s disease. So that you all can have something simple to share with your friends and family. Something that just might get them to understand. I hope you all enjoy it! And I promise there will be a lot more of these videos to come. Rewiring Tinnitus YouTube Channel – I have already created two videos about learning to live with Tinnitus! One about what it actually means to habituate to the sound, and the other about the strategies I used to habituate. I hope you enjoyed the video! If you have any suggestions, comments, feedback, or if you have a good idea for a video topic, be sure to leave a comment below. Thanks everyone! Well done Glenn, I already read in your book and articles what you said, but it was a real pleasure to hear you talking about it . Thanks Renee, I appreciate you saying that. And I definitely will talk about brain fog in future videos! I’ve been suffering for 6 months. Can’t drive and I’m loosing my mind. I suffer from RA in my lower spine also caused from multiple spine surgeries. I’ve been everywhere and tried everything but lymphatic massage and adjusting my nose. I’m loosing everything from this nightmare. I cried watching this because it related so much to me. Thank you for giving me some hope. I can’t wait to read everything you did to live in harmony again. And I really hope you will talk about that horrible brain fog. Thank you for this. I will share it with my friends and family. Raising awareness is important! Although I have not had a true vertigo attack in a few years (thank God), I still have the other symptoms, and it’s still a daily struggle with tinnitus, brain fog, balance issues, and hearing loss. Keep up the good work! Thanks for the kind words Becky! Thanks for posting this! Is it possible to add captions? The auto-generated ones don’t work very well. Hi Gwen, I tried to figure it out the other day, but was having a difficult time. I have it typed out, I will definitely try to get it working! Well I take it it’s a great video but menieres has robbed me of any decent hearing I can only use sub titles now if you manage to sort captions out I will have another whirl ( pardon the pun)at it!!! I do have a very understanding hubby and some family and friends understand ,not all tho!!! Hi Jill, I did add closed captions! All you have to do is press the CC button at the bottom of the video and they turn on. Thanks for this its a good example of what we suffer, i never can shut my eyes or its way worse, i have to stare at a blank object, like a plate close to my face, oh how i hate this disease….. Thanks Karen. I’m basically in the same place as you and agree whole heartedly! Glad to hear your doing well. Where do you live ? California ? Who is your doctor ? What medication do you take ? What type of medication do you take on a daily bases ? Does the change in weather effect you ? Well described and very informative. We don’t know how strong we are until we have to be. Thanks Melanie. And I couldn’t agree more. Thank you so much for being here for us. Great video..
🙂 Thanks Marta. I really appreciate you saying that. Thank you Glenn, great video and will be sharing with all my Facebook peeps! Thank you for making this video. I got a little emotional viewing it. It was like you were describing my story. It is so gratifying to know I am not alone in this world of Meniere’s. For many years I suffered alone, though my father had it, his was not as severe so he really didn’t understand why mine was chronic and his was occasional. I often call myself the sober drunk, laughing to keep from crying. I am divorced after 33 years due partly to Meniere’s. Thank you for putting a voice out there to enlighten those who do not understand. You’re welcome – and you definitely are not alone! Thanks for the kind words Stacy! Incredible video. Spot on man. I have “lived” with it for about 12 years now. Thankfully haven’t had an attack for about 3 years. Tinnitus through the roof! But I’m still standing…..!! You are doing an incredible job with this mate. 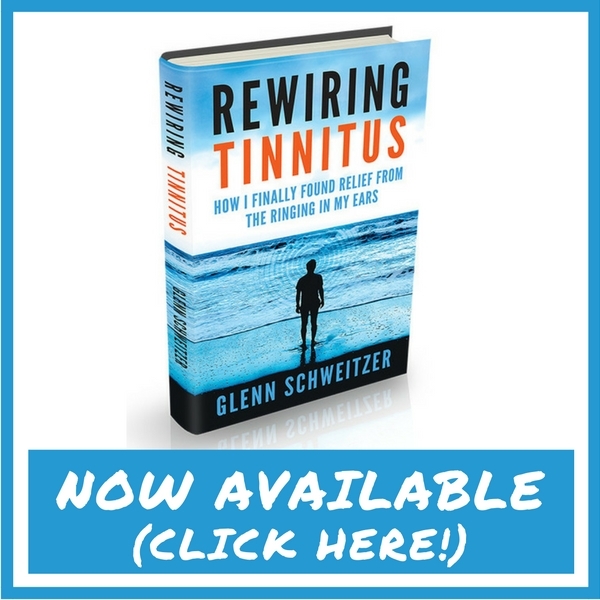 I once wrote some books on dealing with Tinnitus a lot going time ago. They say a Menieres sufferer who complains about their tinnitus is not too bad off as they are not complaining about the dizziness…. I am constantly slightly off balance but thankfully not as bad as I was several years ago. Great stuff man. Shared your video with another person I know who has it. I wrote one. It was a very long time ago. Never sold it – gave it away. It’s buried deep in my hard drive some where now. I tried doing what you are doing here and made a blog, built an email list etc. But it didn’t feel right. I tried to sell tinnitus related products. This was a wrong move on my part. There is so much snake oil out there. I shut the site down. I still write and blog but in other niches and topics now. My ultimate goal is to move away from the traditional 9-5 and work from home. I live fairly comfortably with my condition now. It can be achieved……. Hi John, if you ever do find it I’d love to read it. I know how much snake oil there is out there for the Tinnitus Community. It’s mind boggling. If you search Tinnitus on Amazon, so much garbage comes up. Even most of the books are just attempts to capitalize on the high search volume and are 20-30 page “Pamphlets” of just basic research info written in most cases by a hired freelancer. When you click to those authors pages you see different books on different medical buzzwords, all the same attempt to make money. I tried really hard on this one to create something new. In my journey with Meniere’s, I sort of stumbled onto interesting treatment approaches that really helped me and I think (I hope) to offer something unique and helpful. At this point the only real option for relief is habituation. There’s no way to reliably reduce the noise, but you can get to the point where it stops bothering you, even if you still hear it. I totally understand the feeling you are talking about though. Thank you for sharing this informative information! I’ve suffered for 9 1/2 years with MD. I started getting worse this past November (which I didn’t think was possible) and I now have a specialist. Nothing is helping anymore, so my 1st Meniere’s surgery is scheduled for August 9th. I will also be receiving Cochlear Implants in the near future after the Meniere’s surgeries are over. Awareness is something that needs to be spread over and over about this debilitating disease … Now I shall share your video of awareness with my FB friends! Thank you, again!!! Thanks Ramona! I wish you the best of luck with your surgery and cochlear implants! I really, truly hope that they both help you. Rebecca I couldn’t agree more. And I’m so glad to hear you’ve been doing so well! Thank you so much for sharing this. I truly admire your attitude! That’s a new one for me. I’ve never heard of limiting fluid intake, only limiting salt to reduce fluid retention. Has it helped? Thanks Glenn for this amazing video, I reposted it on my timeline in hopes that friends and family will see it and understand. I have already gone completely deaf in one ear , the nystagmus sets everything off, so I practice eye exercises daily.Always foggy and ear pressure drive me nuts. it is people like you who understand that make it easier for us to cope. Thank you. Aw thanks Marilyn. I appreciate the kind words. Glad to hear you keep up with the eye exercises. And the brain fog and pressure definitely can drive you nuts! Even on many of my best days, I still deal with the brain fog. My brother sent me your video. So thankful you are educating peole. Thanks Louise! Glad I can help in some small way. Thanks for creating this video! If I had a quarter for every time someone said, “But you don’t look sick!”, I’d be rich!! I was diagnosed last November after a YEAR of specialists and tests and constant vertigo ( as well as vision changes, poor balance, headaches, ear aches and ringing, nausea, and anxiety that produced panic attacks.) I really thought I was dying. When I got the diagnosis, I was relieved at first, but spent the next day crying. You’re right, it’s hard to have hope in the beginning of this disease. I have made diet changes which have helped tremendously, and I am taking a medicine that is working very well for me. I am so thankful to feel better. Not like before my disease, but a “new normal”. I am thankful for every good day I have now. My bad days occur less and less. I love what you said about sharing our stories. I couldn’t agree with you more! We need to share with others to raise awareness and to be a light for others who have this disease. There IS hope! I look forward to more of your videos. God Bless you! Thanks Sara 🙂 And I really like the idea accepting a “new normal.” There was a long time after I started to see improvements that I still mourned all of the things I’ve had to give up. But once I accepted it, my mindset improved substantially. Thanks for sharing your story! What medication do you take ? What medication are you taking ? I’m not currently taking any medications, but I’ve taken diuretics and prednisone, both of which were helpful, but had side effects that ultimately made them not worth it. Your video was right on. I have been suffering from meniers disease for over two years. I went to the the doctor over a dozen times and she kept telling me it’s migraines. I knew it was not eventually I went to a head doctor thinking I had a brain tumor or something. That’s when he told me about meniers disease. I just started seeing a ent a few months ago. You really do lose hope with this disease it affects my whole life. I have young children and never know when I will have an attack and not be able to function and take care of my children. I’m hoping some day things will get a little easier to deal with. It’s good to know I am not alone in this battle, because you really do feel alone when dealing with meniers. Thank you for sharing your video look forward to reading your book. Thanks Laura! And you are definitely not alone. It’s a journey but never give up hope! Thank you from Denmark. You made it easier to explain. Im so sorry to hear that Kathrine, but I’m glad you’re doing better now! Thanks for sharing that Janette. I’m glad to hear your husband is doing better. I thought my first attacks were food poisoning too. I told all my friends not to eat at the restaurant lol. Thank you so much for your kind words. It was like hearing my story. Thank you for explaining the condition so well. I will definitely share. I think it will not only help raise awareness but might also help sufferers who think they are going crazy by identifying the symptoms. Thank you again. I really hope so. Thank you Janene. I appreciate your kind words! It was really good (in a sad way that you suffer this too) to watch your video and know someone understands what this pig of a disease does. I’m 18 months down the line from a transmastoid laby and learning to cope with the trade off I’ve had to make – though at times the loss of hearing in than side can be a blessing! Boring people are less of an issue!! I’ve managed to hold onto my job all thought this roller coaster ride. A little determination goes a long way – that’s not in any way to belittle those who haven’t been able to. Unfortunately, it’s looking as though I’m going bilateral so the future is uncertain once again. However, I will fight with all I have in me to find new ways to cope! Hope you and all the other sufferers out there are going through a good spell ? Hi Emma, I’m sorry to hear that your Meniere’s may be going bilateral, though I really admire your spirit! That’s amazing that you were able to find ways to keep working through it all! Did the laby stop the vertigo entirely for you? I also am able to manage quite well. I haven’t had a vertigo attack for several years now, though I do still get all the other symptoms. Thanks for sharing your story! I am one of the cases resulting with deafness. This has to be the 2nd worst side effect of the disease. The first being the spinning and third being the constant ringing. I hear high pitch sounds but everything else sounds like radio static muffled with swooshing noise. Hearing aids amplified the swooshing and I felt agitated. Most people say they don’t mind repeating themselves. In reality, what actually happens is they stop talking to you.☹️. I’m so sorry to hear that Mare. Have you lost your hearing bilaterally? Also don’t forget that Cochlear Implants are always an option as well! I know a lot of Meniere’s patients who have gone that route and couldn’t be happier with the result. I’d be happy to connect you with one of them if you wanted to hear more about it from a fellow sufferer. That’s great Glenn. I really like the hopeful note, as so many people get into that helpless-hopeless mode and spiral down into depression. I’m a psychologist so have all the skills to help myself, but still find myself spiralling down sometimes. It’s a tricky tight-rope walk to find the balance (what an appropriate word!) between providing inspiration for hope and seeming like you don’t really understand – you manage that tight-rope well in this video, your book and your other articles so thank you. Thanks Liz, I really appreciate your kind words. I have suffered with Meniere’s for about 9 years now. I have had 6 gent shots in my right ear. They don’t seem to last more than a few months to a year. I have also been on mega doses of steroids several times. After being treated a couple of years, I was diagnosed with it in my left ear. They did 3 steroid shots in that ear. Since last October I have been going through a very rough period. Before, the vertigo did make me very sick and I would vomit and lose control of my bowels at the same time! It was awful. I couldn’t close my eyes but had to focus on something that was right in front of me. Now, I am having really severe vertigo but no vomiting, just nausea. I was having up to 5 attacks a day. The specialist I was seeing is 1 1/2 hours away and I just can’t do the trip anymore. Besides, the treatments are very expensive. I wear hearing aids but the tinnitus is very, very loud in my right ear. I have 25% hearing left in my right ear and 50% in my left. I do see a local ENT and we are trying allergy shots (I am allergic to palm trees and live in Florida!). Hopefully they will help. Haven’t had a true vertigo attack in 4 weeks but am constantly feeling dizzy. Now that I have all that off my chest, I do still work and am thankful for that. My co-workers and boss have been great! My husband has too but it has really changed our lives. I keep going because I know it isn’t a fatal disease and I can still function. I don’t like going places but I make an effort. Thank you for sharing everything. Ryllis, wow thank you so much for sharing your story! I’m amazed and inspired that you are able to work despite everything that you have had to endure. I’m also so glad to hear that you haven’t had an attack in 4 weeks. I know the fear is still there but that definitely seems to be a much better place than you were before. Quick question, are you in South Florida by any chance? (Thats where I live.) If you are, I know of a couple great Neurotologists in the area that might be able to help as well. I hope the allergy shots continue to help you. Allergies are a big trigger and I cant imagine living down here and being allergic to palm trees! Thanks again Ryllis. We now seem to be narrowing in on a cause. It appears that both MD and vestibular migraine are a vascular disease. Where blood flow is cut off to brain and ear hair cells, starving them of nutrients. It appears to be genetic in origin or genetic susceptibility to an infection that causes it. It is probably time to call it all “migraine spectrum” diseases. See research at University of Colorado Denver and a (really poor audio) Youtube interview with Dr. Hain (Chicago or Mayo? I forget) about treatment option sequence. I found verapamil helps a lot. It is the step after low sodium, no cafeine, etc. to start. Behisten (SP? not in U.S.) is also widely used and people like it. Note that people with MD may develop VM later in life. Very hard to tell them apart since, you may not have a headache with VM! But soreness, loose movements, etc. The main way to tell is the numbness and touch sensitivity of one side of your face during bad attacks. I I live in Cape Town South Africa. Have had menieres for almost 3 years. Am suffering with constant headaches between episodes. Can live with hearing loss and tinnitus in right ear but the daily headaches, imbalance and fogginess are awful. Nobody really understands because I look well. Please where can I get a copy of your book. Hi Janette, I’m so sorry you have been suffering so much! The easiest way to get a copy of my book is probably going to be on Amazon as an EBook. If you can’t find it though, email me at glenn@mindovermenieres.com and I will make sure you get it! Awesome Video Glenn. My Mom who is now almost 80 years of age is battling Meniere’s for the last 16 years or so. Life has changed dramatically for her and also for me. We have both gone through a lot together. I appreciate your attempt to create awareness for this wretched disease and wish you all the best in your efforts. Thanks Adil, I appreciate the kind words! My journey started in 1969 and I did not get a diagnosis for 10 years. Thanks Glenn, I started with DPPV and they found Meniere’s about 15 years later. Lost most of my hearing, had 2 decompression surgeries, medication, antidepression meds, anxiety pill, had a long bout with agoraphobia after a surgery failed. So many changes, tinitus, drop downs, migraines, etc. I just love your explanation on this video and can’t thank you enough. It is a lonely illness until Meniere’s Resources, Veda, and others arrived. We can reach out and help each other. It’s been a long journey for me and still going. I face each day thankful if I can get a few things I want to do done. Once again, Thank you so much. Thank you so much for this. You have truly helped me keep positive about this infliction. I read your book at a difficult time and it gave me the positive perspective I needed to continue trying different things to get it under control. Thank you for all that you do. Hey Glenn…….. I think it’s great that your talking about Meniere’s. I was 24 and at work when I dropped like a stone, and as you said life was never the same. It took 9 months to find a Dr. that had a clue of what was happening to me. It’s 19 years later and I have trouble almost daily, but have learned to deal with it the best I can. So hard for people to understand that your ears can cause so much trouble. They mess with everything! I have hope that someday there will be a cure, but until then I do what I can when my ears allow it, and have found ways to stay happy even with the world spinning around me. I was diagnosed 17 years ago. I didn’t leave the house for 2 years but slowly with lifestyle changes I managed to get back to work. I’m a singer and the deafness so far is only in the one ear. Things do get better but it takes loving support and a healthy lifestyle. Wow thats amazing Bobbi! Does the hyperacusis make it hard to sing? Thank you for all you do for creating awareness to living a life with Menieres. Awesome video. My husband was diagnosed and I will support him every day! Thanks Jenn! And your husband is lucky to have you. I was lucky to find a good doctor early that figured it out. That was about 6 months after my first attack. The hospital and my family doctor were both clueless. I’m overweight and 50 and through this process also discovered type 2 diabetes. This video pretty much described my experience to a T. I have devoted myself to lose weight and exercise and hopefully with proper diet I can maintain some control of the symptoms. I also got the right doctor quickly because my GP is amazing and I see her regularly. Thank you for the video, it is going to be shared with some people who ask me why I am sick when I look “just fine”. My life is fairly decent because I work hard at knowing my triggers and I eat properly but it takes lots of work and I am tired most of the time but tired is better than vertigo. Thank you for being my voice, you are a hero to people who suffer with something very difficult to explain. Another amazing thing I discovered is a very nice gel temperpedic pillow – a little pricey at $199 – however when I put my affected ear (left) down on it, the tinnitus is muffled and add a xanex and I sleep like a baby. Sleep in regular patterns seems to be a big key to good days for me so it makes life good. Glenn, I want to thank you for the videos, and the page…I sufferd for 6 months and lost my job before i was diagnosed..I need advice on how to manage finding a job, and or some kind of help …I am a single mom of a 17 year old son with Sickle Cell Disease..So our lives were already complicated enough, when this came on….Is Menieres a disability? I am the only provider in the household….We are living on a shoestring, and I must earn money to live…I know your readers and followers have super great sugesstions, as do you….Again, THANK YOU for your blog and book and newsletter…..You are a godsend!!!! You’re welcome! I hope my video helped your family to understand! This is such a fantastic site. I have recently been having symptoms of Ménière’s disease. I was wondering if anyone has looked into cold laser therapy. I know it’s relatively new in the last few years but it seems like from what I’ve read on it it could be affective with tinnitus though I’m not sure about the vertigo. I haven’t tried it yet just wanted to see if anyone had or knew about it? I actually don’t know much about this. Can you send a few links Ana? Great video. Wish I could buy your book. Thanks Vince! Why can’t you? Haven’t been able to work in over 2 years. I am one if the small percentage that it went nuclear. Had decompression surgery in March. Still not feeling well. The weather not being that good all summer not helping a bit. Struggling to pay bills.